AMY MADDEN TAYLOR’S quiet confessional style, full of acutely realized images of life, freezes individual moments like photographs. This book is the dissection of a compelling but uncomfortable relationship. We are invited to examine closely the characters of her protagonists, and I feel the urge to reach out and rescue the woman from her compulsive attraction to this charismatic, capricious and selfish man who will never be hers on the same terms that she is his. She is possessed by him in a way that she can never possess him and we have to watch, almost peering through our fingers as this sensitive young woman goes through all the torments of love, and doubt, and loss that will be familiar to many of us, but which are here expressed with a clear and breathless eloquence few of us can hope to equal. Amy Madden Taylor’s writing avoids all of the common pitfalls of poetry. There is no pretention and no artifice. The feel is organic, immediate and unflinching. 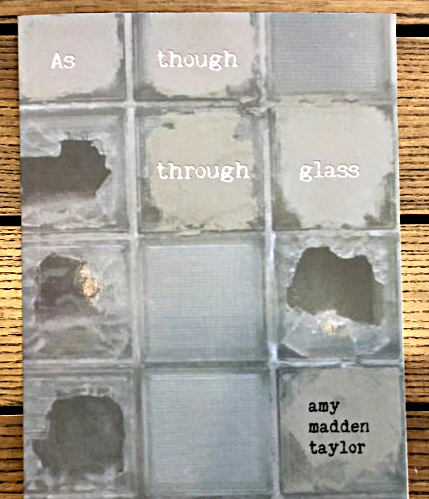 For every Amy Madden Taylor there are dozens of other would-be poets trying to ride the tail of some perceived literary trend to success, but this writer maintains her unique voice with integrity throughout. This book will make you laugh, and cry, and gasp, and sigh along with the events and leave a lasting impression of a consuming passion, the “two-ness of one, the one-ness of two” played out against the uncompromising backdrop of life-on-the-edge in New York. Whenever I read anything by Amy Madden Taylor I am drawn into a sense of stillness to fully appreciate all I am reading. I need to take a deep breath and focus my mind, as if for meditation. The words need to be savoured, the visions fully realized to appreciate the delicacy and light modern grace of this masterful poetic narrative. and at the Strand Bookstore, New York , (Broadway at 12th Street), with availability for mail order at Strandbooks.com Strandbooks.com has just restocked. Get your copy now!